These floor systems provide a powerful level of protection from a number of dangerous fungi, bacteria and algae. Anti-microbial flooring solutions do not change the beauty or performance of the epoxy floor coatings installed. The anti-microbial and anti-bacterial applications do not fade. They permeate all layers of the polymer rather than just the surface or top coat. This provides your facility with maximum protection. The reason these types of floor solutions are so effective is because the anti-microbial components are added DURING the manufacturing process. This allows the protective components to thoroughly permeate the whole of the floor coating. 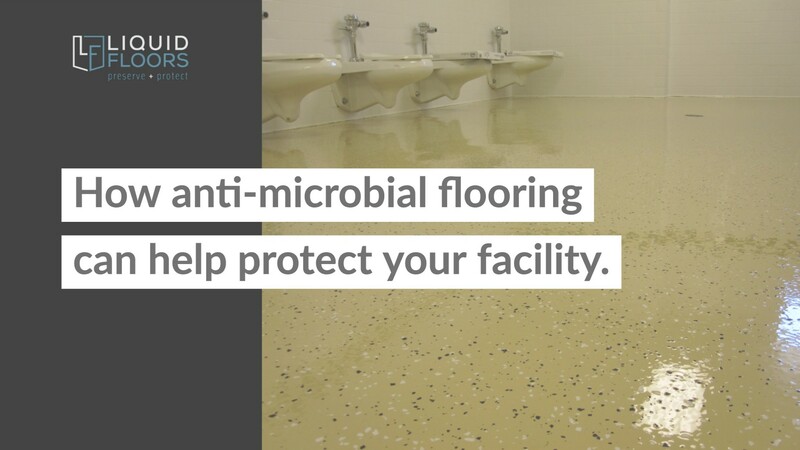 Providing this type of anti-pathogenic protection too areas including restrooms, living spaces, locker rooms and beyond, you ensure that the flooring does not only look beautiful, it also protects your employees and visitors from the dangerous bacterial pathogen‘s that are unseen to the naked eye. Liquid Floors provides unparalleled products, quality and service to all layers of industrial , healthcare and manufacturing facilities throughout the Southeast. Contact us now to get a free estimate on your next industrial flooring project.